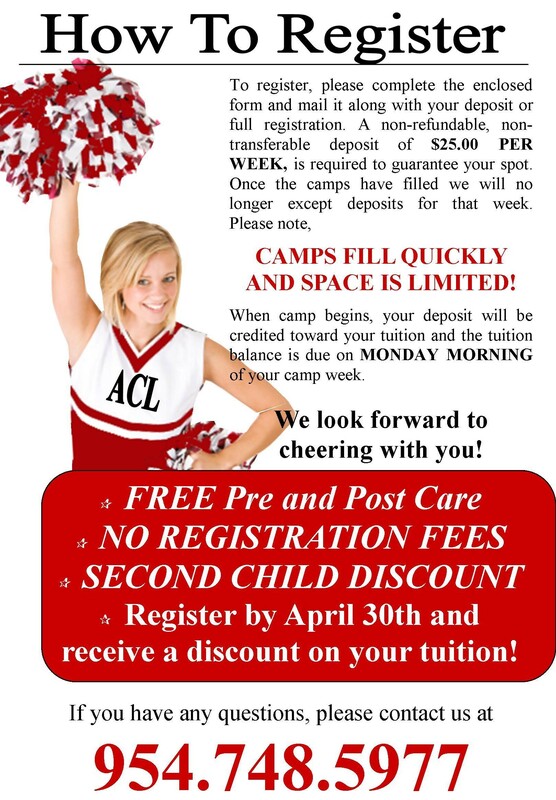 Camp tuition is only $135 per week when you register before April 30th and $145 per week beginning on May 1st; please note we there is a $10.00 second child discount. The $25.00 deposit is a part of your tuition and will be deducted from that week’s balance. The balance is due on MONDAY morning of the week you have registered for. For additional information, please call our office at 954-748-5977. Thank you for your interest and we look forward to cheering with you this summer!